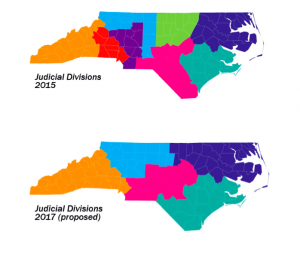 The House and Senate just might come to a deal when it comes to judicial redistricting and merit selection: pass them both and see what sticks. 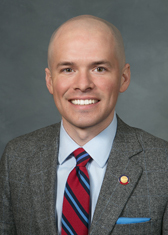 The committee met for the first time Tuesday but did not discuss or go over the judicial and prosecutorial maps proposed by Burr in House Bill 717. Current maps were handed out to lawmakers and the public at the meeting but not Burr’s maps, which he has publicly stated would be tweaked but said Tuesday weren’t ready yet. 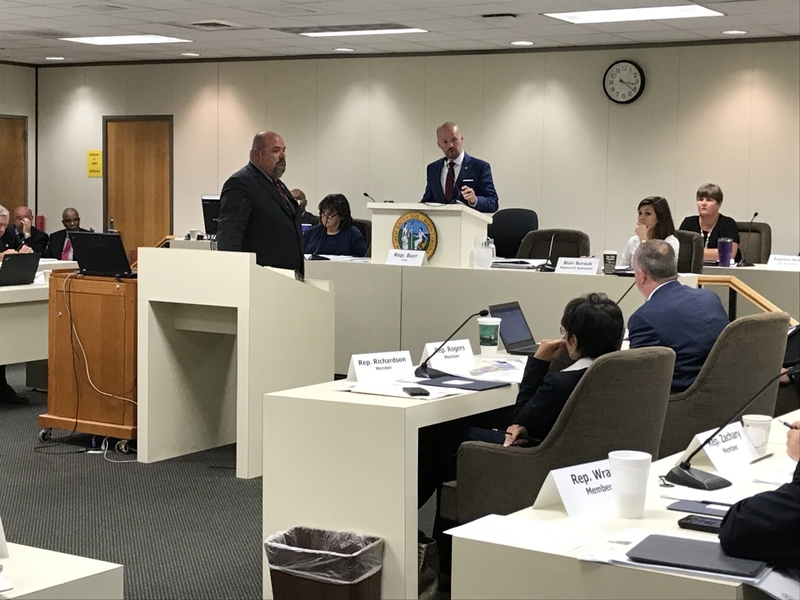 UNC School of Government Professor James Drennan gave a presentation to lawmakers about the history of North Carolina’s court system, modes of selection and judicial districts. N.C. Administrative Office of the Courts Director Marion Warren gave a presentation about the agency and its role in overseeing the operation of the court system. Both Drennan and Warren also took questions from lawmakers. Drennan told the group that the one person, one vote principle did not apply to judicial redistricting the same way as it did for legislative and congressional redistricting but that it applied to some extent. He didn’t answer any specific questions about whether Burr’s maps were the right way to go and instead deferred to lawmakers to delineate what the right process was. Warren confirmed to lawmakers that the AOC was not involved in the drawing of Burr’s maps but did respond to some requests for information about judges and districts. He also noted before the presentation that state Supreme Court Chief Justice Mark Martin made a request for lawmakers to consider the appointment of judges. He described the state’s judiciary as a system that has “a tremendous amount of tension,” but that leads to checks and balances. He also said that he didn’t know of any other state in which judges (trial and appellate), prosecutors, clerks and budgetary folks are all under the same roof trying to speak with one voice. Rep. Marcia Morey (D-Durham) asked Warren about feedback about judicial redistricting he’d gotten from judges. He said some judges have said they will wait for the process to play out before commenting and others have been very upset about the maps. Morey responded that she had gone to and spoken with at least 20 districts across the state and had not heard one district court judge be in favor of Burr’s redistricting plan. Warren was asked by Rep. John Blust (R-Guilford) about how the AOC was handling the reduction in emergency judged and how workload would be affected under the proposed maps. Warren said that Superior Courts have handled the reduction just fine but that the district courts were struggling. “I’m having a great deal of difficulty with the district court,” he said, adding that there is a tremendous demand for emergency judges and he is having to manage it almost on a daily basis. The meeting adjourned after Warren’s presentation. Burr said the committee would most likely meet late next week and then at least one more time before the maps are sent to the full House in October. Despite some committee members talking about criteria Tuesday, Burr said he intends for his maps to serve as a baseline with tweaks to be introduced in a proposed committee substitute. When asked about his stance on merit selection, Burr said his focus right now is on the maps. “You know, there’s many different ways to do that, to look at merit selection, so that’s not my focus at this point,” he said. He added that there is nothing in the merit selection proposal he has heard that conflicts with passing his judicial redistricting proposal.